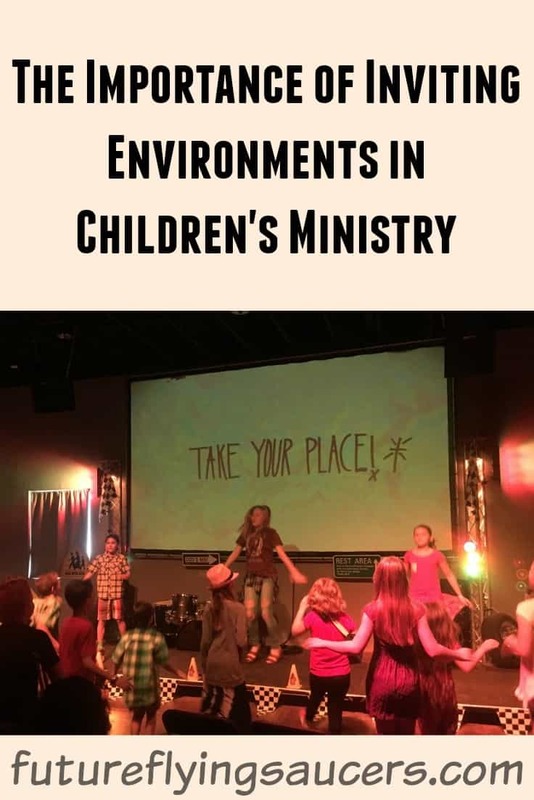 The Importance of Inviting Environments in Children's Ministry | FutureFlyingSaucers. In the last few years, environments have become a huge focus in my kid’s ministry. I can’t emphasize the importance of having inviting environments enough. Our environments often play a big role in the first impression families have when they walk into our ministries. They may have already formed negative or positive feelings about our kid’s ministry before they even speak to volunteer at check-in based on the feeling and appearance of our environments. I didn’t always understand the importance of environments in kid’s ministry. 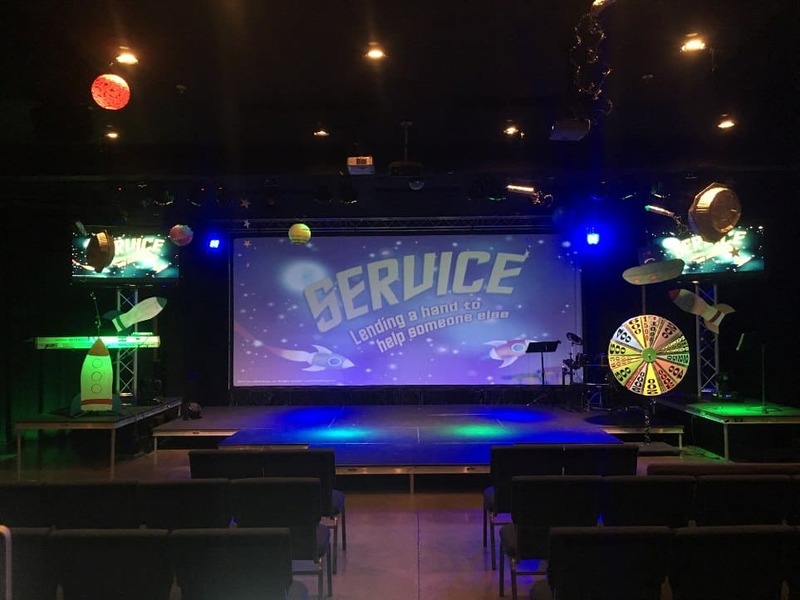 I had always seen kid’s ministries where the environments looked the same for years, decades even, and it just seemed normal. When I went into my first ministry position, I shared most of my environments with other ministries in the church. I thought there wasn’t a lot I could do to make our environments look exciting and inviting. I have learned that there are no limitations that cannot be overcome or worked around to create an inviting environment for the kids. It may take a little more ingenuity and creativity in some cases, but it will be well worth the effort. I believe that a big part of creating an inviting environment for kids and families is changing it up regularly. I know that doesn’t sound simple or even easy depending on your situation. Why isn’t it enough to just have a really great environment theme and stick with it? Let me share three benefits I have seen from changing up my ministry environments regularly for the last 3 years. 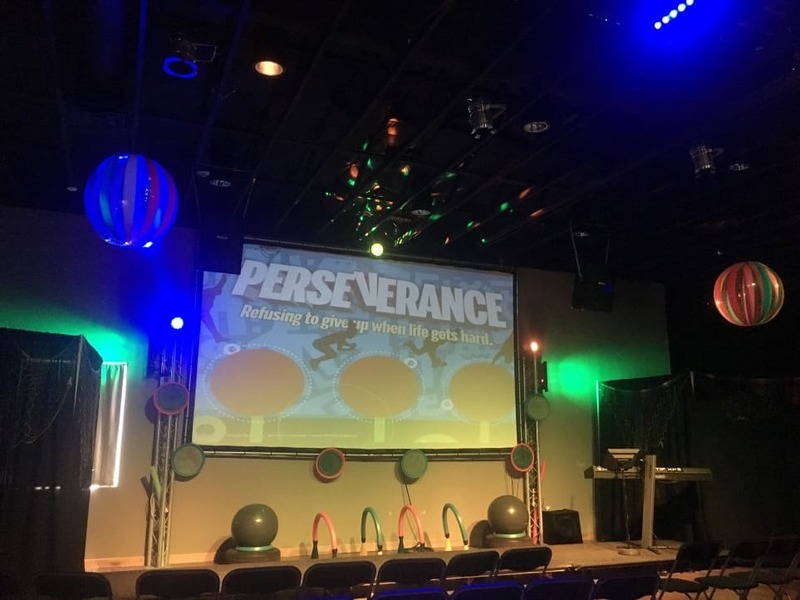 Kids in your ministry will be so excited when they walk into a changed environment, and they will actually want to invite their friends to church. It keeps them guessing, and on the edge of their seats to find out what the new theme will be and to find all the new decorations. Parents/adults have a visual of how much we care. This is probably my favorite benefit I have seen from changing up my environments. I get comments all the time from parents, volunteers, and other adults in the church about how great our rooms look. 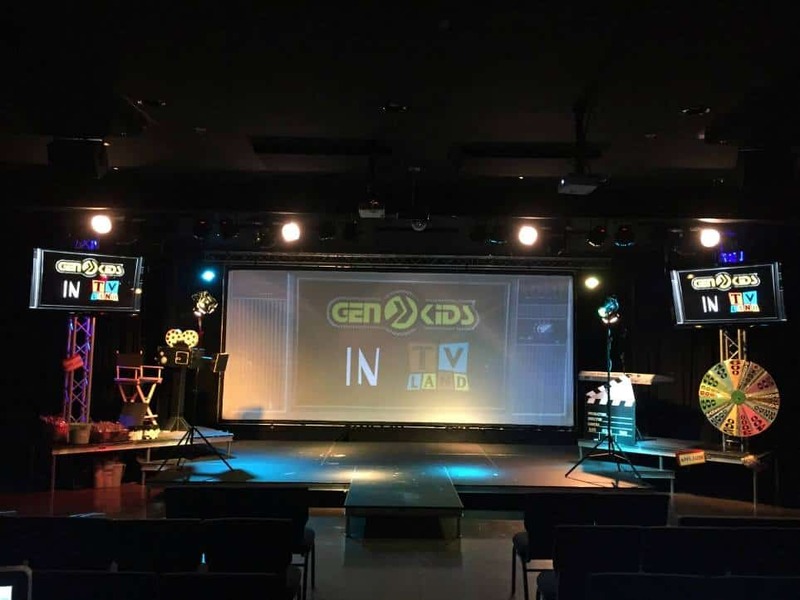 They see our passion and all the hard work that goes into these sets, and it lets them know we really care about putting on a quality kid’s ministry in all other areas as well. Keeps your environments up to date. You can have the coolest kid’s ministry environments in the world in 2016, but in 2017 it won’t be so fresh anymore. Technology, trends, and even the kids we are ministering to are constantly changing. Shouldn’t our environments be as well? That brings us to a very important question, “How often should we change up our environments?” The answer is going to look different for every ministry and will vary depending on the season you and/or your church is in. I try to change up my base environments about 1-2 times a year. That means re-organizing, giving things away, checking the paint on the walls, re-formatting the set up of rooms, deep cleaning, etc. A good rule of thumb is to walk through your ministry environments as if you were a first time guest. What do you see, smell, hear, touch? Hopefully, you don’t taste anything, except maybe some candy from the candy bucket. You get the point. Sometimes we don’t notice the clutter or even bad smells because we are in the spaces all the time. I also do temporary environment changes monthly in all of our elementary environments to go along with the theme we are teaching for the month. I do all of my environment changes on a budget using the three R’s: Reuse, Repurpose, and Recirculate. Reuse: What items do you already have on hand or lying around from a previous event or set design that you could use again without changing anything? When you are tearing down after an event or set design, make sure you save any items that you could potentially use again by putting them in a storage container and labeling them clearly so you can find them again when you need them. Go dig through those storage closets in your church, and I guarantee you will find some hidden treasures that you can reuse. Repurpose: What items do you already have on hand or lying around that you could modify and turn into something fresh and new? That’s what I did with the spare wood pieces, cardboard for the signs, trash in the church, and kraft paper covering the stage. If you made a sign or decoration for one set you might be able to turn it around and use the other side for something else. Don’t throw it away until you have thought about how it could be repurposed for something new. Recirculate: What items could you possibly borrow or have donated by someone else in your church or community? Just because you don’t already own the item or you don’t have the budget to buy it doesn’t mean there’s not someone who does. What items do you have on hand that you could donate or loan out as a resource to other ministries? I have been on the giving and receiving end of this, and it has been such a blessing to my ministry and to other ministries. I want to encourage you not to let any obstacles get in the way of creating inviting environments in your kid’s ministry. You might think you don’t have a big enough budget, space, or any creativity to come up with great ideas. None of those excuses should stop you from creating amazing environments. If you want more information on environments and set designs you can check out my blog at kidmincorinne.com. 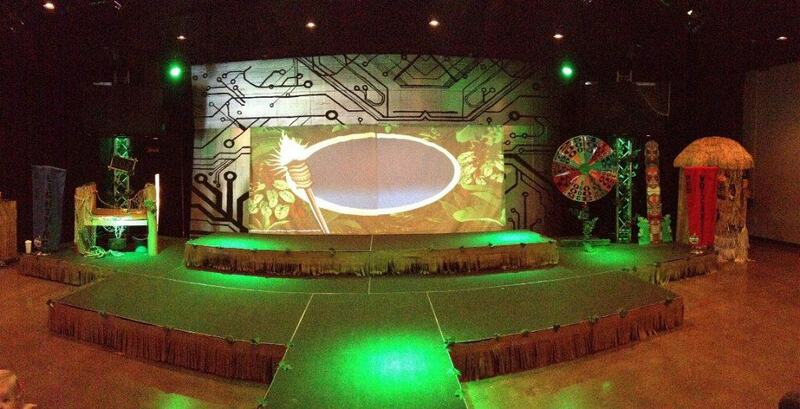 I blog about set designs and ways to create exciting environments on a budget. I would love to help you create inviting environments in your ministry as well. Hi there, I’m Corinne! 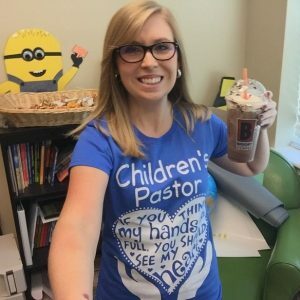 I’m a Children’s Pastor with a passion to impact the world through teaching kids to know Christ. I was born and raised in Kansas City, Missouri and was called to be a Children’s Pastor when I was ten years old. I met my husband, Sean, at the University of Valley Forge in 2008. We graduated together and got married in May 2012. We enjoy geocaching, riding roller coasters, and bike riding. My personal hobbies include cooking, baking, and juggling (no chainsaws… yet). Sean and I reside in the Phoenix, Arizona area where I serve as the Children’s Pastor at Desert Springs Church and am blessed to reach over 150 kids each week.